Running Past has covered several of the builders who made a substantial mark on the landscape of Lee and Hither Green – W J Scudamore who built large swathes of the Lee from the 1890s to the 1930s, Cameron Corbett of the eponymous estate and others such as W H Elliotts who built Woodyates and Pitfold Roads. A little earlier than all of these was John Pound who was prolific in Burnt Ash Hill and Roads and what is now Baring Road before moving on to be a prominent developer of Grove Park. Pound was born in Blackheath in 1827. 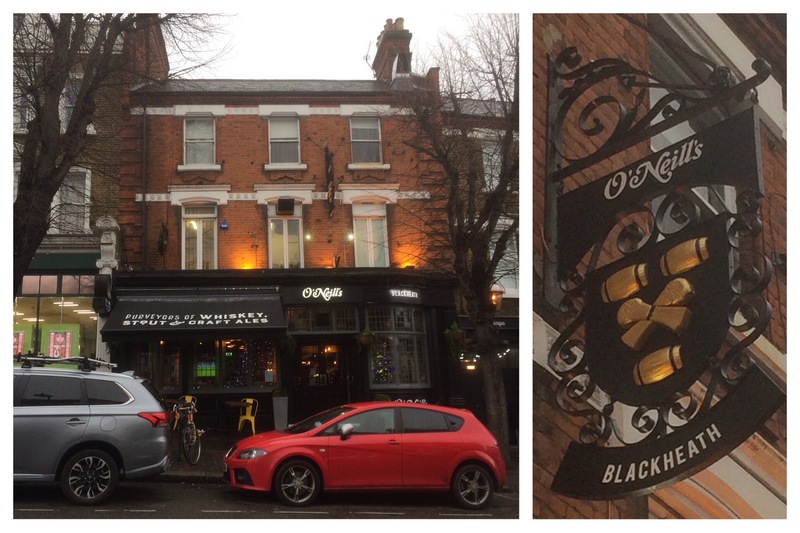 He was the son of publicans, Thomas and Sarah, who ran the Three Tuns pub (now O’Neill’s) in Tranquil Vale in Blackheath from 1824 (1). In the 1851 census he was living at the pub and listed by the enumerators as a joiner, as was his younger brother Richard. His elder brother William took over the tenancy in 1853 on his father’s death (2) and seems to have stayed there until his own death in 1878. 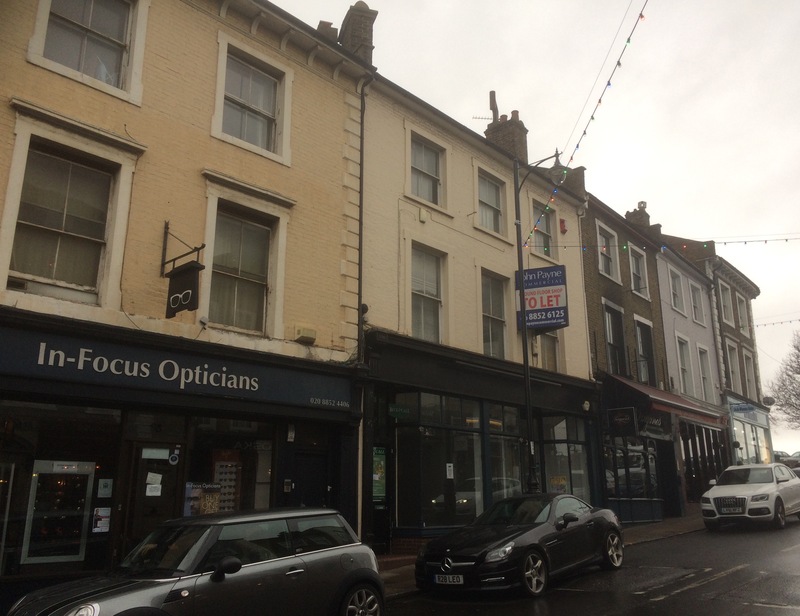 In 1851 John Pound seems to have made his first foray into development – being responsible for the building of shops at 13 to 21 Montpelier Vale (below). It seems that he wasn’t the builder though, that appears to have been the established Blackheath builders, Couchman and Co (3). 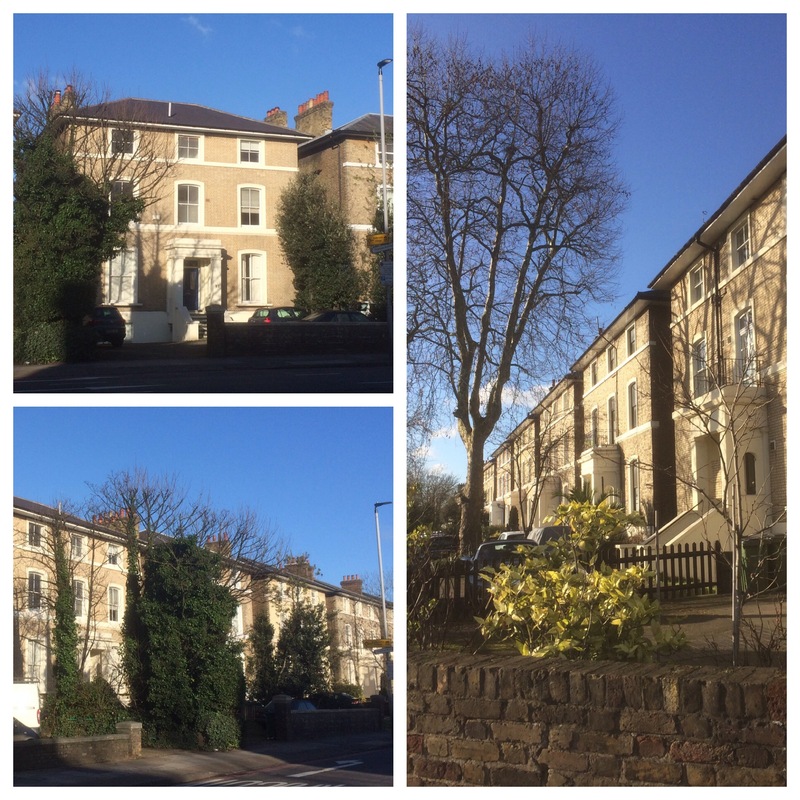 Pound’s first known development as a builder was in the mid 1850s with the large villas of 89 to 95 Shooters Hill Road (4), as the same style continues eastwards he may have been responsible for up to 113 too. 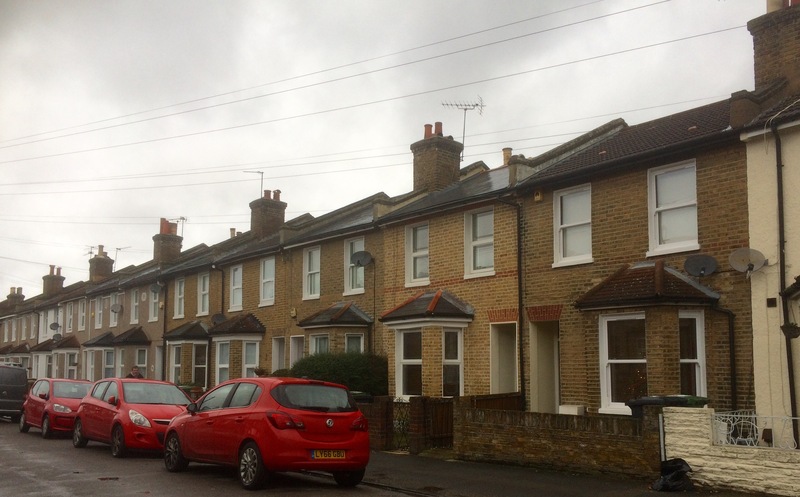 Some of the earliest homes that John Pound built in Lee were some houses in the south eastern quadrant of Lee Green which were developed around 1860, Orchard Terrace on Eltham Road (now the Leegate Centre) and Crown Terrace on Burnt Ash Lane (now Road) which was roughly where Sainsburys is now. 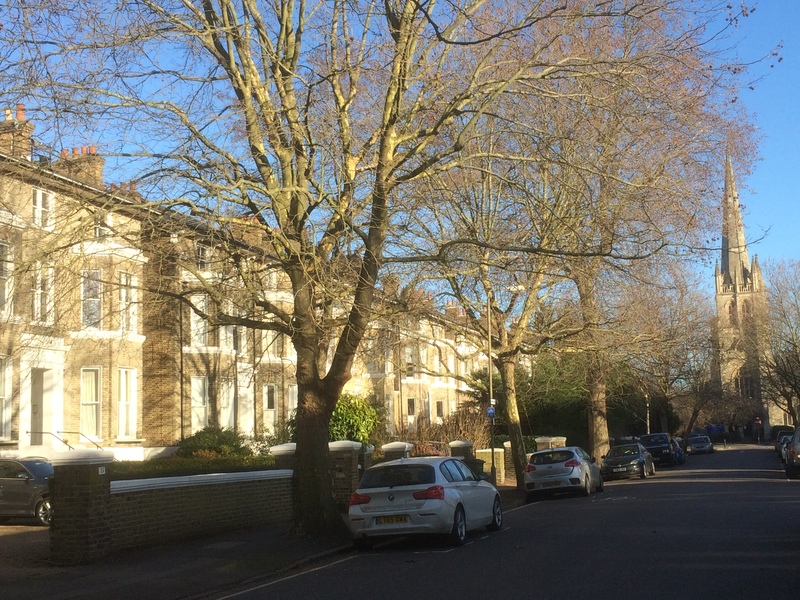 In the mid to late 1860s he was developing another street in Blackheath – the initially tenanted large houses in St Johns Park, west of Strathenden Road (5); the houses on the northern side of the road remain (see below). Probably during the 1860s, possibly earlier, Pound opened or took over a brickworks with clay pits surrounding it, around the current location of Kimbolton Close. 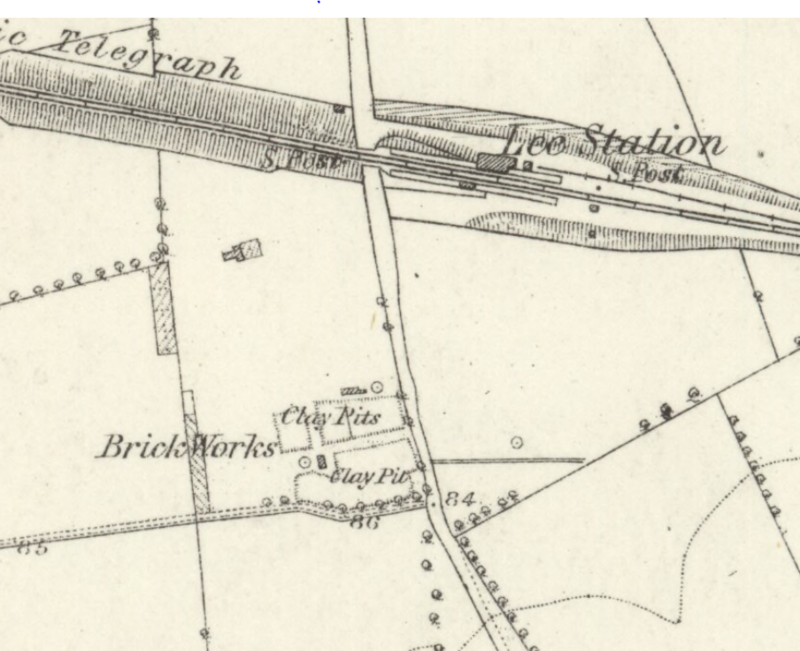 It was certainly there and well established in 1867 when the Ordnance Survey cartographers surveyed the area (see below on a creative commons via the National Library of Scotland). There was a clay crushing machine on site and on the opposite side of Burnt Ash Hill, roughly where Woodstock Court is currently located (6). The brickworks were managed by Edgar Drewett who lived next to them in the 1866 (7). There was another brickworks owned by Pound and run by Drewett on what is now the corner of Winns Road and Burnt Ash Hill. Oddly, Drewett was photographer by trade who came from Guildford, he had moved to Burnt Ash in the mid-1860s, and then on to Marvels Lane in 1871. He had returned to his former trade and hometown by 1881. His development continued along what is now Baring Road towards Grove Park and more or less parallel along Burnt Ash Hill during the late 1860s and early 1870s. 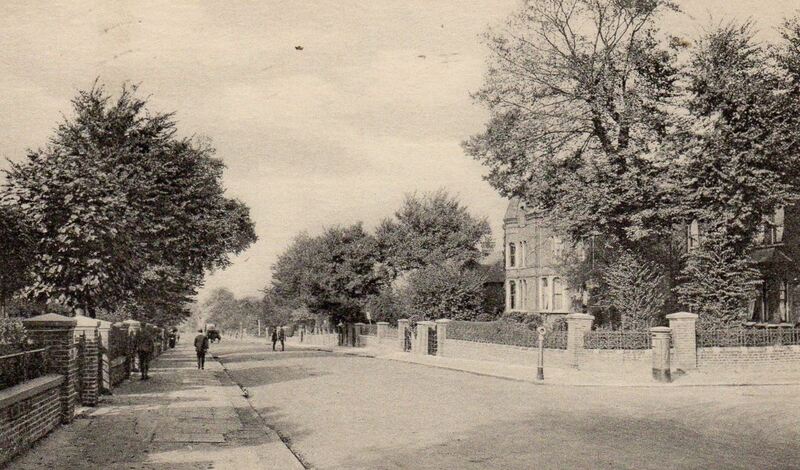 By 1870 the houses on the eastern side of Burnt Ash Road close to Lee Green, had been built ‘many of them were the work of Blackheath-born builder John Pound (8). He went on to build a lot of houses around Lee Station and further south along Burnt Ash Hill (9). The exact houses aren’t totally clear, the photographs are likely to include some by Pound. Pound himself moved to one of the houses his firm had built – in the 1871 census Pound was living at Stratton Villa on Burnt Ash Road – the seems to have on the western side, close to the brickworks. Rose though wasn’t there, she had died in 1865. These homes would have been atypical in terms of what Pound built, all the others were large houses aimed at the wealthy middle class of Victorian society seeking what was then suburban living. Like Cameron Corbett a generation later, he probably realised that he needed a housed local workforce for his enterprises. 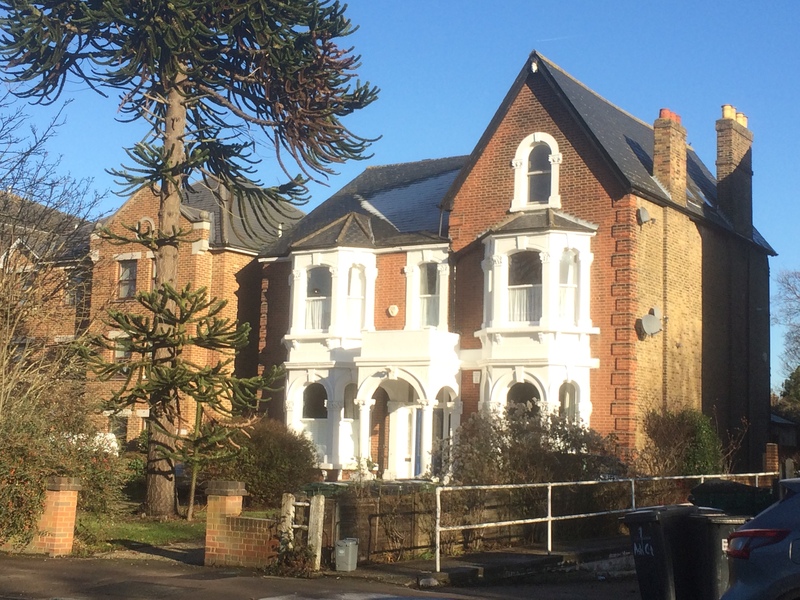 Oddly, unlike most of his firm’s housing output, away from Blackheath, which has been lost to 20th century redevelopment, these are homes that have stood the test of time. 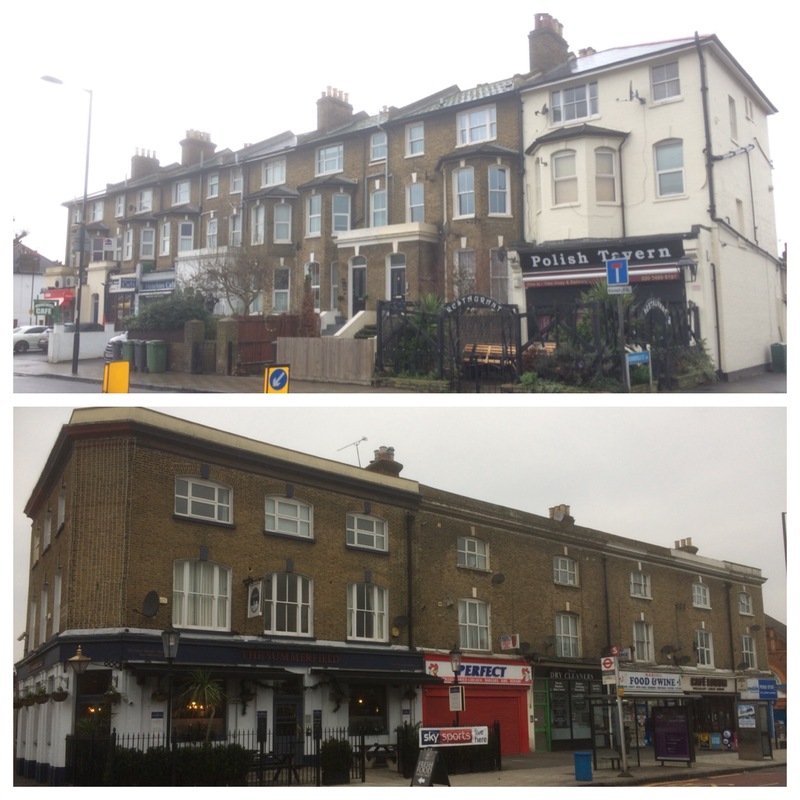 He certainly built what was known as St Mildred’s Terrace (top below), a mixture of shops and homes extending from the southwards from the corner of Summerfield Street. As will be covered in a later post on his pubs, it is almost certain that he was responsible for building the Summerfield, assuming that is the case, the adjacent shops continue the pattern and would have been built by him too. 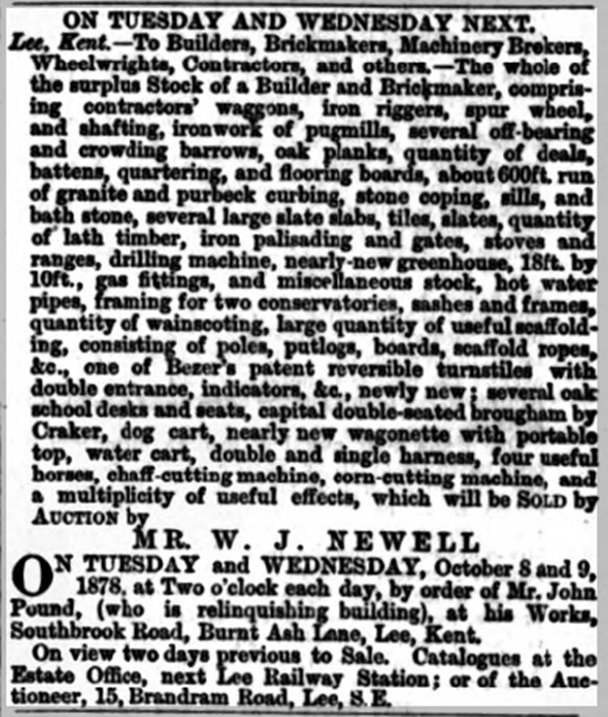 In the early 1870s he advertised regularly in The Times both for rented properties and bespoke houses. Presumably he felt that he was so well known in the area that he didn’t even need to put his address (11). The estate office, collecting the rent was at 7 Burnt Ash Hill, opposite what is now Holme Lacey Road. His development continued apace further south after Grove Park Station opened in 1871 with Pound taking advantage of this in purchasing Grove Park Farm in 1873. Pound also seems have moved the base for his building operations from Southbrook Road – presumably what is now Southbrook Mews to Grove Park. He moved from there in 1878, perhaps the nearby brick field had come to the end of its life and he seems to have had a large sale before moving on – presumably to a base nearer Grove Park where most of his building work was then happening (12). Pound was able to find a use for the brickfields after their primary purpose had ended. The Parish paid him £30 a year for their use as a ‘mud shoot’ effectively as dumping ground for mud, manure and the like from Lee’s roads (13). The land around Woodstock Court and Kimbolton Close may be particualry fertile as a result! Pound too moved to Grove Park by 1881, he was living at Saville House, Bromley Road (now Baring Road) – ‘a splendid house in two acres of land’ when the census enumerators called. He was listed as Builder and Brickmaker employing 50 men. John Pound was responsible for much of the late 19th century development of Grove Park, it was a ‘small selected estate of large villas for the middle class.’ While there are still a few Pound homes in Lee, little or any of his work survived the post-World War Two re-development in Grove Park, the only house from that era that seems to remain is one large, much altered villa in Somertrees Avenue. Mentions of Pound from the early 1880 onwards seem fewer and further between, whether he had run into financial problems, ill health or there were fewer development opportunities isn’t clear. 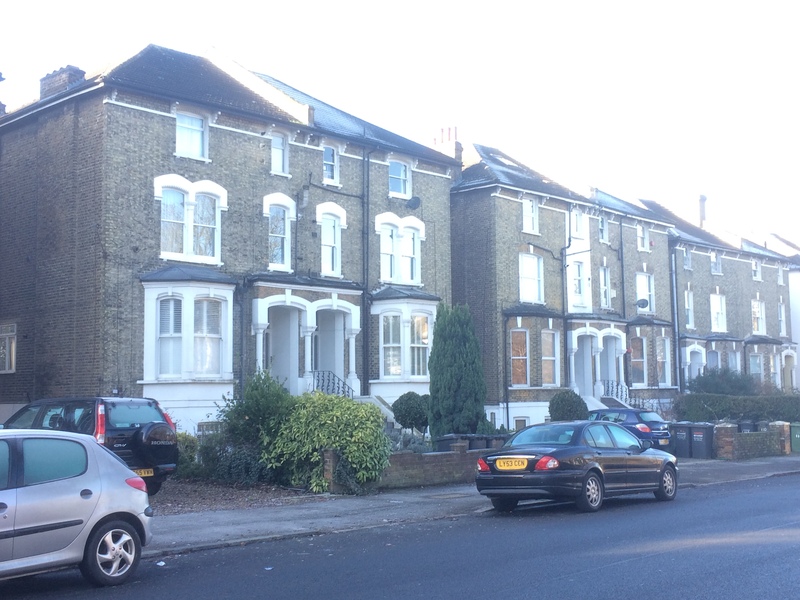 There were more mentions of selling land that he had bought to smaller developers such as in East Greenwich and Blackheath in 1881 (14) and on Furzefield and Hassendean Roads in Charlton (15) which were then known as the Dean’s Common Estate. In the next post we will stay with John Pound and look at the pubs that he built in the area. Census and related information comes from Find My Past. This entry was posted in Blackheath History, Lewisham History and tagged Baring Road, Burnt Ash Hill, Gads Hill Place, Grove Park, John Pound, Kimbolton Close, Shooters Hill Road, Southbrook Mews, Southbrook Road, St Johns Park, Summerfield Street, Three Tuns (Blackheath) on January 24, 2018 by Paul B.
It’s easy for us to forget how very dangerous building work was in those days, and how little medical support there was for even, let’s say, a simple fracture. His employees may have had a very rough time of it. There were some benevolent employers who tried to care for their staff but they were in the minority. A good point, well made. I’ve no idea whether Pound was a good employer or not, those stories are never told in the local press – the editor of the main local paper in Lee in this period moved in the same circles as the rich and influential of the parish. At best tales of misfortune on his sites would be reduced to a line in the parish records relating to the poor law, no doubt without mentioning the employer. The basic health and safety standards that we take for granted today weren’t in place then so building sites were dangerous places to be. Access to healthcare was limited and a broken arm could have a catastrophic impact on a family. In Lewisham at the time it would have probably meant the workhouse – there was a lot of grumbling around this time about the cost of ‘indoor’ relief in the area. In Lee though, without a workhouse, ‘relief’ was likely to be ‘outdoor,’ so slightly less draconian.